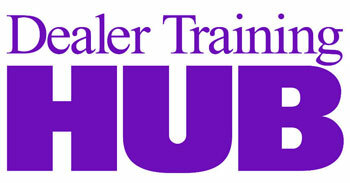 Car dealerships are frequently reviewed on online review sites like Yelp or Google Plus. Consumers use these sites to brag about great experiences at car dealerships, or to warn other consumers about the worst experiences they’ve ever had. Review sites have gotten a bad rep. Although most people think that online reviews are only beneficial to the consumer, they can be quite beneficial to the companies being reviewed. 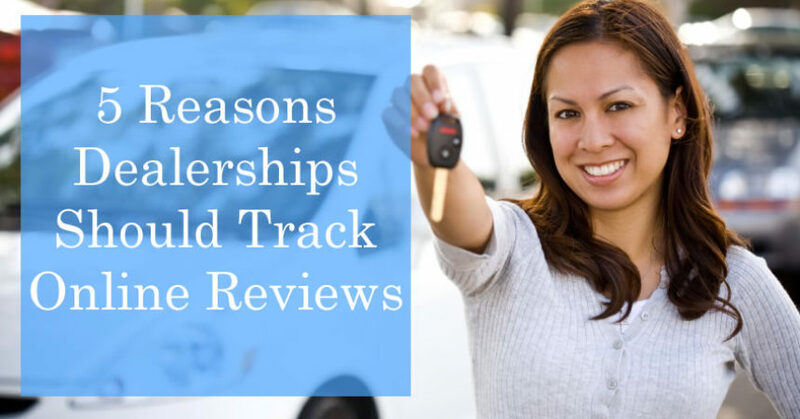 Here are five reasons why car dealerships should start tracking their online reviews. The internet is a powerful tool, and online review sites are giving your customers the power to control your company’s online brand. Many review sites already have a profile of your company without you even making it. If you don’t monitor online reviews, then you could be very surprised to find that your online brand is completely damaged thanks to a negative online review. The best way to control your online brand is to stay on top of what is being said about your company online, and tracking online reviews can help. Customers are always right, and they can give good outsiders’ feedback on what you’re doing right. Pay attention to the most-frequent commendations from your consumers. For example, do multiple customers tout you on your cleanliness, friendly staff, or knowledgeable service department? You can then use this information to know exactly what your company excels at in order to continue performing at an optimum level. Although your dealership may not want to see negative reviews, it’s likely they will happen. Instead of getting mad or upset, use the information in these negative reviews to determine areas of improvement. For example, if you notice that a multitude of customers complain about a specific employee, you may want to pay closer attention to the employee’s attitude and performance. This can help you to right their wrongs and make your dealership a better place. By tracking your online reviews, you can diffuse negative situations before they become worse. For example, if you’re constantly monitoring your dealership’s reviews and a negative review pops up, you can reach out to the reviewer, apologize, and offer to make it right. By doing this, you are keeping the customer happy, you’re showing other customers that you care enough to fix your wrongs, and you can diffuse the negative review before others decide to chime in or make the review viral. Some dealerships don’t track their online reviews because they think it’s too hard or too time-consuming, but it’s not. First, you can hire a review manager to be in charge of this responsibility. This way, you have one dedicated staff member assigned so that your other employees can focus on their own jobs. Second, most review sites provide you with the option to have email notifications sent directly to you when a new review is posted. This way, you or your review manager don’t have to physically visit the sites every day in order to see what’s being said. Finally, you can use an online review management tool like BrightLocal, ReviewPush, ReviewTrackers, and others to help you track your reviews. They will scan every online review site in search of your designated keywords, and alert you any time a new mention or review is found. Kevin Stephan is a sales manager at Hanover Toyota, where you get a new or used car and be treated with the respect you deserve.